VENUS in LEO (Aug 25 – Sept 19) – Shine, Celebrate, Show your Mane, and: LIVE LIFE LOVINGLY! SATURN direct now, passed by LILITH. MERCURY retro half-way Point of Enlightening Insight. Lady VENUS has entered the LEO domain – meowy roarrr! And esp. : Show your LOVE! VENUS will be in LEO until SEPT 19, adding to the Summer Radiance – and FIRE until Summer turns into Fall, on the Equinox Day of Sept 22. What’s ‘she’ up to during her ‘cat walk’ in LEO? LIVING LIFE LOVINGLY, and showing ourselves Heart-fully (vs. just ‘watching the show and drama’ of others, in depleting AQ mode). VENUS will even go into Grand FIRE Trine (yep, the one we had with the Total SOLAR ECLIPSE & MARS this week), Sept 12 – 17. Together with LILITH ahead of SATURN in SAG, and URANUS in AR. This bodes well for a Heart-fully passionate and creative month! Treat Yourself – LEO style! LILITH Passed SATURN on AUG 22: Outgrowing ‘Obstacles’ on the Path, with Our True Authentic NATURE! Besides the Total Solar ECLIPSE, this is also a LILITH shift week and month, as ‘she’ takes flight, out of SATURN’s ring /cage. 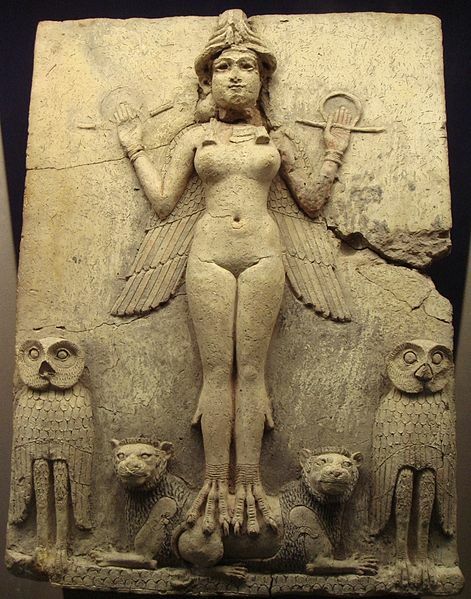 Ancient Sumerian Lilith Relief, with Owls & Lionesses – ‘her’ Entourage. ‘She’s a clawed and winged one herself, strong and wise – feared by those whom she ‘triggers’. LILITH just met and passed SATURN on AUG 22! …which is a major ‘game changer’ (compounding with the Eclipse), and only happens every 12 1/2 years – last time was in FEB 2005 in CANCER. A ‘wildly Feminine’, or rather Instinctual Energy on its Fly-bye (and perhaps waves bye-bye) to the Archetype of Authority. In its SAG shadow (one of SATURN’s jobs is to reveal the shadow, and have us work through it) SATURN shows up as a saboteur of inspiration, a linear, judgmental, righteous, dogmatic ‘boss’ / patriarch that takes the FUN out of SAG, and replaces it with FEAR. Yep, the inner and outer SATURN gets also symbolically ‘eclipsed’, or at least passed, in ‘Wild SAG Flight / Ride’ by LILITH who will from now on take the lead for quite a while, while SATURN follows. A new 12 1/2 year LILITH / SATURN cycle started – now in late SAG – the realm of the Nature-Ally Wise Ones. May they / WE speak UP and lead ON, from the HEART! Time to go beyond being blocked, caged in, and held back by old stories, paradigms, labels, dogmas, and beliefs that have (even historically) produced patterns of fear from moving forward, and fear of ‘the foreign’ / ‘the other’. Perhaps we’ve over-compensated, by living a narrow trajectory of expectations, judgments, and projections of negativity, coming up with ‘game plans’ to control (and prevent) what SAG is really about: Trusting in the journey, the adventure of LIFE itself, and to follow our Heart. Well, SATURN has definitely taught us a lot about all this, in the last 2 years since it’s been in SAG (until Dec 19, 2017) and recently retro, pushing us to be ‘done with inner obstacles on the journey’, such as old limiting beliefs, or at least to unburden ourselves from a big part of it. Where and how have we let ourselves be kept small, caged in, and prevented from growing, and living in the fullness of our truth and our path? SATURN is also having a ‘Change of Heart’ or at least, a change of direction, from inward-retro to outward-direct (on Aug 25) – but can’t catch up with LILITH who’s leading now. Hopefully (and likely painfully so) we would have experienced in the SATURN retro phase since early APRIL how Fear can hold us back. Both very apropos SATURN in SAG. False Evidence Appearing Real (perhaps my favourite one). SATURN reto would have also shown us how it’s legit to trust intuition and inner guidance, and not move forward if appropriate. SATURN retro to direct is an inner ‘wrap-up’ of walking around with blinders on (either too focused on something that’s just not realistic, or not seeing what’s possible / lacking perspective). Now we hopefully know more. Yet, don’t let your knowing turn into dogma. Our intrinsically Free and Happy (no ‘pursuit of happiness’ needed) True Nature leads us onward, on the Path, with heartful inspiration and radical inner trust. The Grand FIRE Trine theme in the LILITH / SATURN in late SAG (the ‘Integrity Point’ of the Zodiac) says: Claim Intrinsic AUTHORITY. See my blog post re: Grand Fire Trine activations. Can’t hurt to invoke their Archetypes. Hint: SATURN likes ritual (putting intention into form). 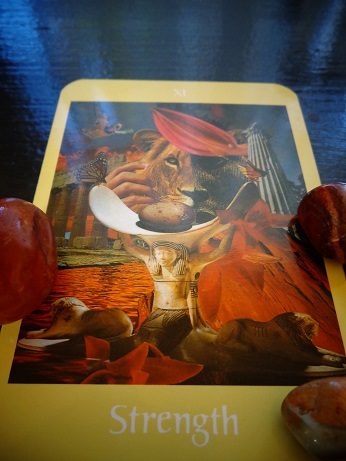 “The Truth Shall set You FREE” is another LILITH – SATURN in SAG theme. Clues can be found in late SAG in your, or in a relationship’s / organization’s / city’s / country’s chart. For the U.S., that’s in the country’s first house of identity. LILITH / SATURN at 21° SAG exactly oppose the U.S. MARS at 21°22 GEM in their 7th house of ‘significant others’, i.o.w. other countries and individuals the country is partners or opponents with – who face them, and whom the country dialogues with. “In whom or what can we / they trust?” (SAG)?! As we INVOKE and EVOKE the ARCHETYPES we set them FREE, and invite their gifts, in group synergy. Naturally, we explore where the LILITH / SATURN passage shows up for YOU personally, and how YOU can ride this wave of FREEDOM. Come if you hear the CALL of the WILD! Blessings to You and ALL, for the Change! Let’s stay HEARTful, and well guided on our Path! RE-Post: AUG 21 2017 TOTAL SOLAR ECLIPSE end of LEO, over the U.S.A. on the ‘SPHINX POINT’, and close to REGULUS, the ‘Heart of the LION’. in case it escaped you (MERCURY retro’s ON, after all) – I’m RE-posting and adding to the part of the Total Solar Eclipse from the August 2017 is Big Time ECLIPSE Month post. The path of the TSE will cross centrally over the U.S.A. (Northwest / OR to Southeast / SC). What are the deeper and longer term implications of this ‘cosmic event’? The ‘SPHINX POINT’ is an Initiation from ‘being chosen’, ‘special’, ‘privileged’, ‘being King / Queen’ to becoming a Priest/ess, who offers sacred service. A transition from the ‘palace’ to the ‘temple’. And as it’s been said: The King is the first servant of the State. Who are the ‘Players’ in the Grand FIRE Trine? Well, more than half of the Astro Archetypes! Set yourself FREE, and come alive (again). Do something that’s aligned for, and from your Self, from Self Awareness, and from the Spiritual Heart. After the re-boot, re-new and re-initiate your creative play. Be bright, alive, inspiring. Your creativity feeds and inspires synergy in groups and humanity! Be the author of your ‘story’. Intentionally invite the best in everyone – in freedom! SIX retrograde Planets (SATURN about to go direct, on Aug 25) – we’re also dealing with ‘unfinished business’ and recurring themes – many ‘inside jobs’. MERCURY (until Sept 5), SATURN (until Aug 25), CHIRON, URANUS, NEPTUNE, and PLUTO (until Sept 28). RE-considering what hadn’t been in the discussion in a while. RE-entering the conversation, about what hadn’t been shared in a while, from a place of VIR awareness. Also a RE-fining tools, and discerning what serves / is practical and useful and what isn’t. Cropping and pruning where less is more. Wrapping up inner limiting beliefs, world views, and ‘old stories’. Why / when do I go into a mode of overwhelm? What’s the re-curring wave of this? How do I self-medicate with addictions? How can I be there for others as for myself (esp. when I feel ungrounded)? Inner Liberation sets us FREE – unconditionally. Inner and Universe-all Oneness – you are never alone. Not being in inner division and as the ONE – makes us immune to ‘Divide et Impera’ agenda. Inner timelessness, call of the ancestors, inner mastery, and resource-full living. Total Solar ECLIPSE Initiation Aug 21. LILITH / SATURN Aug 22. Grand FIRE Trine: Autonomy – Agency – Authority. Hey Cosmic Community, in Eclipse count-down! SO much fiery charge is UP and around and within now, as we’re approaching THE Big Event very fast. ‘Not only’ is the Eclipse THE cosmic event of the year – definitely for the U.S.A. who even claim it as the ‘Great American Eclipse’, the only country on its Totality Path. Just look at how fired-up the atmosphere (mirroring the astro-sphere) within and from the States is these days….! The ecliptic New Moon – with fiery LEO MARS! – also creates a Grand Fire Trine which is ‘a good thing’, i.o.w. a growth opportunity in spirit-in-action. Where? How? Hang in, we’ll get to the specifics further down. 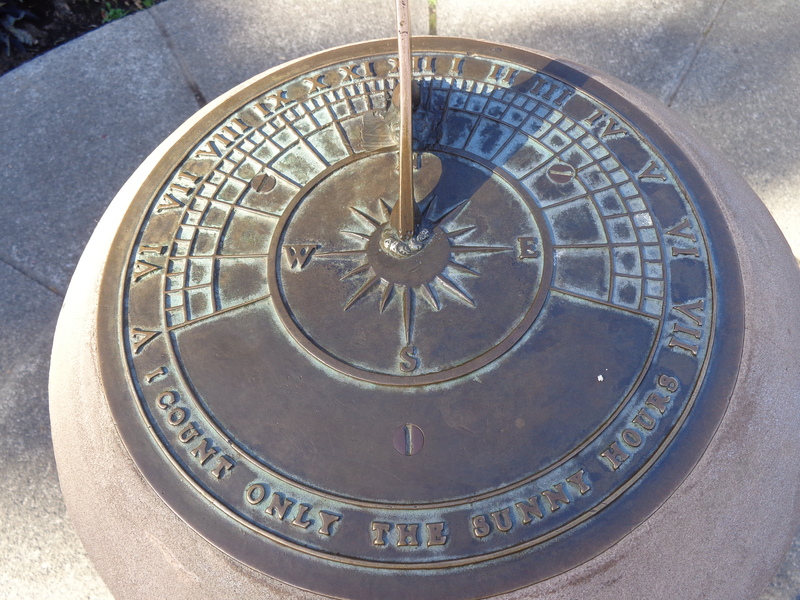 Blinded by the Light – of too much bling and ‘shiny objects / subjects’ that court for our attention, incl. narcissistic ‘selfie’ bling – this is the shadow of LEO. A Solar Eclipse is quite simply, factually, a Light – Shadow – Light process. The extra strong LEO Solar side and August SUN gets dramatically ‘occulted’ / overshadowed by the late LEO MOON, before LUNA moves on. Lioness Energy stepping in front of Lion Presence….? An exact, super-duper NEW MOON, happening on the Initiation Point from LEO to VIRGO. So much concentrated energy in all of this. NEW MOON at 11:30 am PDT, at 28° 52′ LEO. The MOON crosses over the ‘Sphinx Point’ into VIR at 1:25 pm PDT. The SUN crosses over the ‘Sphinx Point’ into VIR at 3:20 pm PDT. On one hand, the Eclipse occurs technically at the VERY end of the old lunar cycle, as the ‘Dark Moon’, and that’s about endings and release. 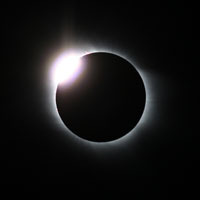 On the other hand, the connection of the Eclipse with the North Node of the Moon where fresh energy can be found, gives it an energy of ‘Incentive’ for uplifting, higher vibrational end-of-LEO qualities. I.o.w., Self Awareness is the way to let-go, and to renew! Who am I? How do I operate? What’s working here, and what isn’t healthy and doesn’t serve – let go! The Priestess perhaps, who calmly observes, and is in alignment. She owes that to herself as in: ‘Higher’ / ‘Cosmic’ Self, and to those whom she is in service to. Sounds a bit ‘lofty’ and ‘far out’? Let’s bring some other flavours and voices of Astro Archetypes in that are very influential in the Eclipse energy! Could the Grand Fire Trine be a SoUlution? Definitely a ‘Divine Intervention Opportunity’ – which needs to be activated (otherwise it’s just ‘sitting there’ like money on the bank account). Be the author of your ‘story’. And invite the best in everyone – in freedom! Ancient Sumerian Lilith Relief, with Owls & Lionesses – ‘her’ Entourage. ‘She’s a clawed and winged one herself, strong and wise – feared by those who she ‘triggers’. LILITH will meet and pass SATURN on AUG 22! …which is also a major ‘game changer’, and only happens every 12 1/2 years – last time in FEB 2005 in CANCER. A ‘wildly feminine’ / instinctual energy passing the Archetype of authority – which in its SAG shadow (one of SATURN’s jobs is to reveal the shadow, and have us work through it) shows up as a saboteur of inspiration, a linear, judgmental, righteous, dogmatic ‘boss’ / patriarch. Yep, the inner and outer SATURN gets also symbolically ‘eclipsed’, or at least passed, in ‘Wild SAG Flight / Ride’ by LILITH who will from then on take the lead for quite a while, while SATURN follows. A new 12 1/2 year LILITH / SATURN cycle starts – now in late SAG – the realm of the Wise Ones. May they speak UP and lead ON! For all of us, it’s time to go beyond being blocked, caged in, and held back by old stories, paradigms, labels, dogmas, and beliefs that have (even historically) produced patterns of fear from moving forward, and fear of ‘the foreign’ / ‘the other’. Hopefully (prob. painfully) we would have experienced in the SATURN retro phase since early Apr how fear can hold us back, and how it’s legit to not move forward based on intuition. Also: an inner ‘wrap-up’ of walking around with blinders on (either too focused on something that’s just not realistic, or not seeing what’s possible / lacking perspective). Now we hopefully know more. Yet, don’t let your knowing turn into dogma. With LILITH moving past SATURN, things are shifting, and our ‘Inner Wildness’, i.o.w. our intrinsically free True Nature leads us on the path onward, with heartful inspiration and radical inner trust. The ‘Encounter Axis’ in SAG – GEM for the U.S. (Trump was born with the Full Moon / Lunar Eclipse on this axis!) brings up a few (may I understate) ‘inconvenient’ / shadowy issues to be discussed and brought to light. Energetically / archetypally, the public figure of Trump is a catalyst who brings things into motion, the bad, the ugly, and perhaps through this ‘messy process’ the ‘good’, or neutrally put: the NEW that comes from it. This claimed ‘Great American’ TSE (and first Solar Eclipse over the U.S. in 99 years since 1918) catalyzes the 1st PLUTO Return for the U.S. (2020 – 2023) in the country’s history! A complete restructuring, to hopefully leading by example / from integrity, based on the core of foundational principles, incl. the essence of the American Constitution – but also and perhaps foremost: Natural Law. Intense transformational years for the ‘Land of the Free’. Speaking of Freedom, in the meantime (2016/17) URANUS in late AR has been squaring the U.S. PLUTO. A destabilizing, unsettling, traumatic, uprising, revolutionary, and ultimately liberating energy – as we’ve seen. Vs. ‘The One / the Elite / the Special Superstars’ who get all the attention and seem to have all the Agency and political power. The TSE brings a RE-Boot in that regard. The curtains of the LEO stage in the shadow ‘reality show’ of drama, narcissism, and ‘high maintenance’ are being closed – done with this act! Who’s the agency of ‘the curtain’? Well, the MOON – crossing like a curtain the ‘face of the SUN’. In a country the MOON represents The People (vs The Ruler/s = The SUN). And also The Feminine. LEO type strong women who aren’t shy to ‘roar’ from the Heart. Makes me think of a provocative FB live with Brene Brown at the occasion of Charlottesville that I saw the other day. She pointed out the need for awareness (VIR) of undeserved white privilege (LEO), incl. NOT needing to deal with any discrimination, and the shadow effects of this core narrative of the country. And the polar opposite, woven into the country’s history: Dehumanizing and objectifying ‘the others’ so that they can be treated less than human (shadow of AQ). Very apropos MOON in LEO to see passionate strong Feminine and ‘People’ Forces ‘roaring’ now, incl. privileged women, artists, actors, and many people who express their passion (not just against but FOR). What comes ‘on stage’ when ‘the curtain’ is pulled up again? A profoundly Re-NEWed end-of-LEO energy! A Leadership of the Heart. Channeling Passion into Healing Activism. Highest Potential of Working with Spirit. That’s what happens with Eclipses. AND on the ‘Sphinx Point’ – the LEO – VIR cusp where this one occurs. In other words, the change clearly doesn’t ‘happen’ immediately / automatically. The heavenly signs are pointers and mirrors, they don’t ‘produce’ the ‘effects’. To ‘handle’ one’s fiery LEO passions, and channel them into Service from the Heart. But things ARE quickening now. Lots of build-up. The Initiation is being initialized, with the U.S. TSE. The same is true for a personal chart and life. I.o.w. if you are affected by the TSE (esp. if you have your AC, SUN, MOON, or planets in late LEO) the ‘cosmic Heart surgery’ / resurgence is under way…. Here’s the TSE chart, with Grand Fire Trine incl. LILITH / SATURN, and the points of Autonomy – Agency – Authority. Check out all that FIRE (Feuer in German) in the elemental table. URANUS in ARIES, the Awakener Archetype – which often acts through disruptive wake-up calls, and brings us radically into our AUTHENTICITY and AUTONOMY. URANUS also feeds into the end-of-LEO ECLIPSE energy: A Radical Renewal of AGENCY in AWARENESS. What else stands out in the Eclipse chart, and at this time of cosmic ‘weather’? The AUG 21 Total Solar Eclipse on the ‘SPHINX POINT’, where LEO meets VIRGO! The end of an old cycle (could be even of the last 18 years when the last TSE with the North Node was in LEO – on Aug 11, 1999 – visible over Europe). Stay tuned for the ECLIPSE post that will also show how this TSE links to the Aug 1999 TSE! And the beginning of a new cycle, through a metamorphosis. This Eclipse with the NORTH Node emphasizes on New Beginnings. Where is the Self Awareness been directed? Into all the Archetypes that are presently activated. Today Aug 15, VENUS in CANCER opposes PLUTO retro in CAPRICORN. Tomorrow / Thu Aug 16 / 17, VENUS squares JUPITER in LIBRA. Clearly, important decisions (the yang / masculine way of experiencing this) have to be made, and choices (the yin / feminine way of experiencing it) are available. JUPITER in LIBRA this year (Sept 9, 2016 – Oct 10, 2017) has among other things shown us just how many choices there are, and brought up the notion to CHOOSE WISELY. With PLUTO in CAP, deep soul work and soulful purpose is brought out of us, and we are seriously evolving, in a world / Zeitgeist that looks quite destructive to the ‘old world’ – for better or worse. Transforming structures, and old inner structures, in any case. And what does ‘the other side’ say (PLUTO in CAP)? “In many situations, for whatever reason, your care isn’t needed, maybe others can be there in a better capacity. Can both sides be reconciled? What would be a wise, synergistic balance between these two? A win-win? Clearly a soul searching dilemma. Hint: Don’t choose from guilt / fear, but from the depth of your love. The pressure might be strong now, esp. for those of us with SUN / MOON / AC / Planets in mid-ARIES, mid-CANCER, mid-LIBRA, and mid-CAPRICORN. It’s ok to stay with it, and see what the ECLIPSE brings. 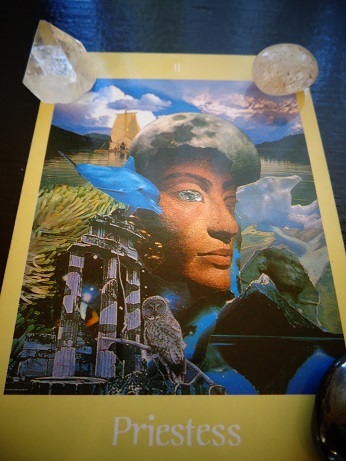 It IS a NEW MOON – PowerHouse that is.